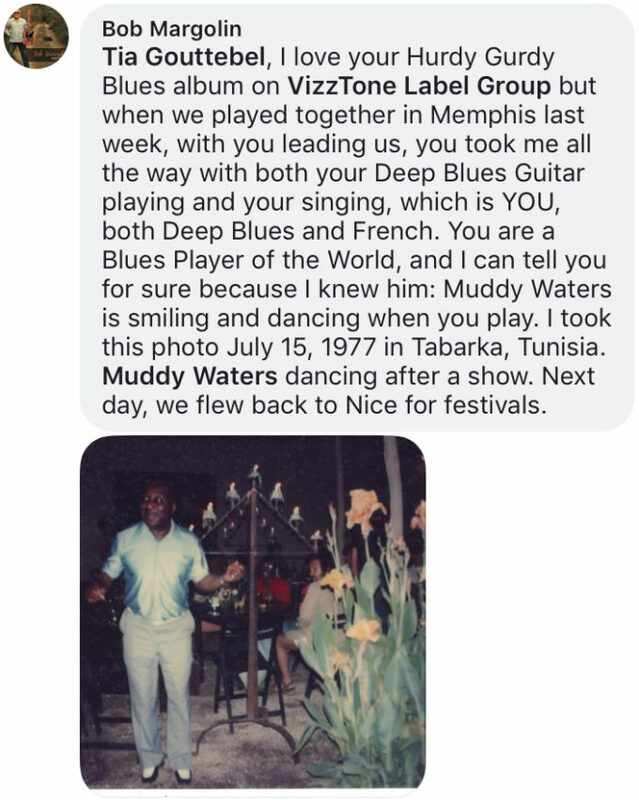 Tia Gouttebel, I love your Hurdy Gurdy blues album on VizzTone Label Group but when we played together in Memphis last week, with you leading us, you took me all the way with both your Deep Blues Guitar playing and your singing, which is YOU, both Deep Blues and French. 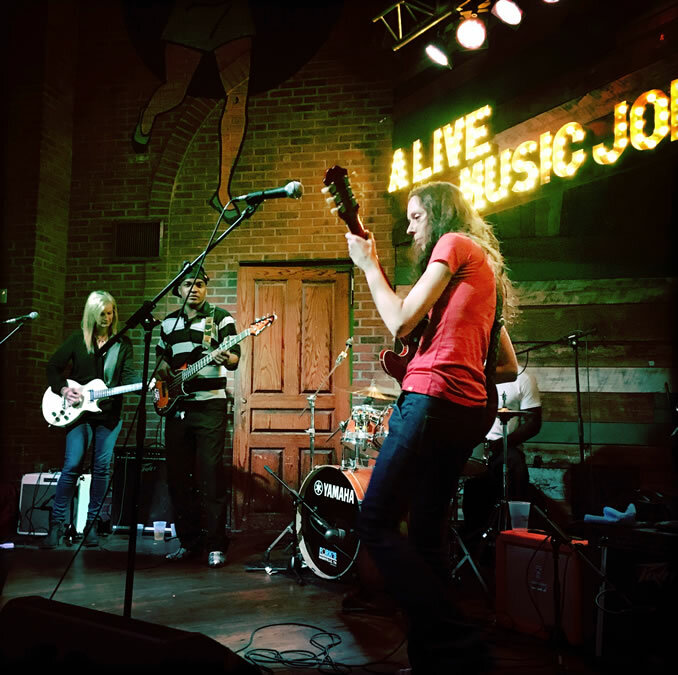 You are a Blues Player of the World, and I can tell you for sure because I knew him: Muddy Waters is smiling and dancing when you play. I took this photo July 15, 1977, in Tabarka, Tunisia. Muddy Waters dancing after a show. 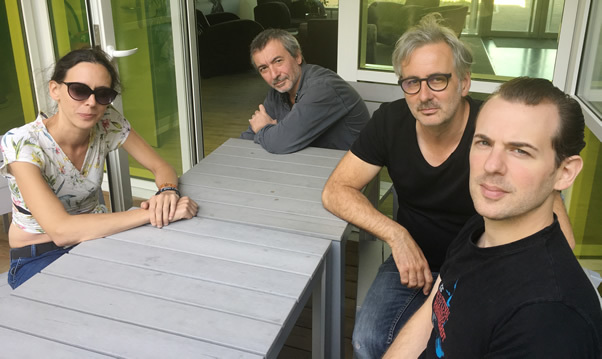 Next day, we flew back to Nice for festival. Backing musician for Muddy Waters from 1973 to 1980, Bob Margolin has been leading his own successful career ever since. 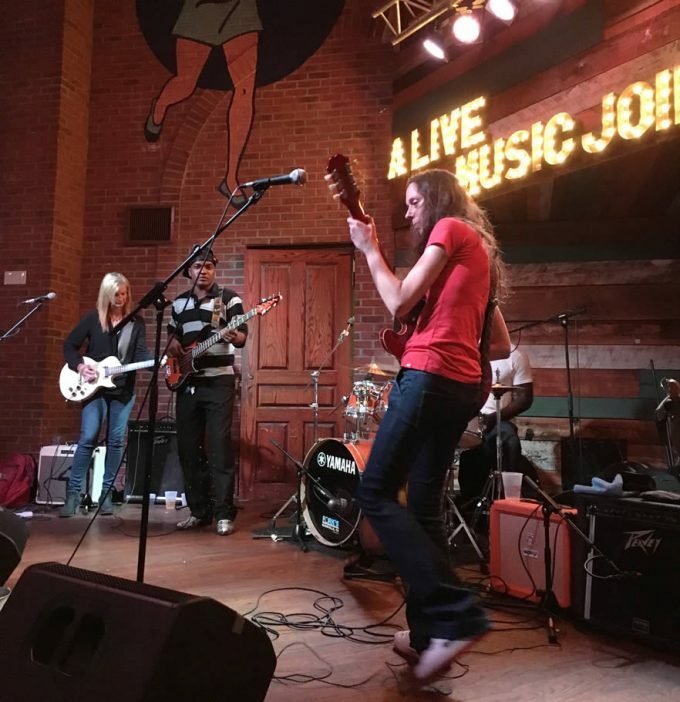 His last album, My Road, released in 2016, won two Blues Blast Magazine Award and earned three Blues Music Award nominations, including a win for Best Male Traditional Blues Artist. 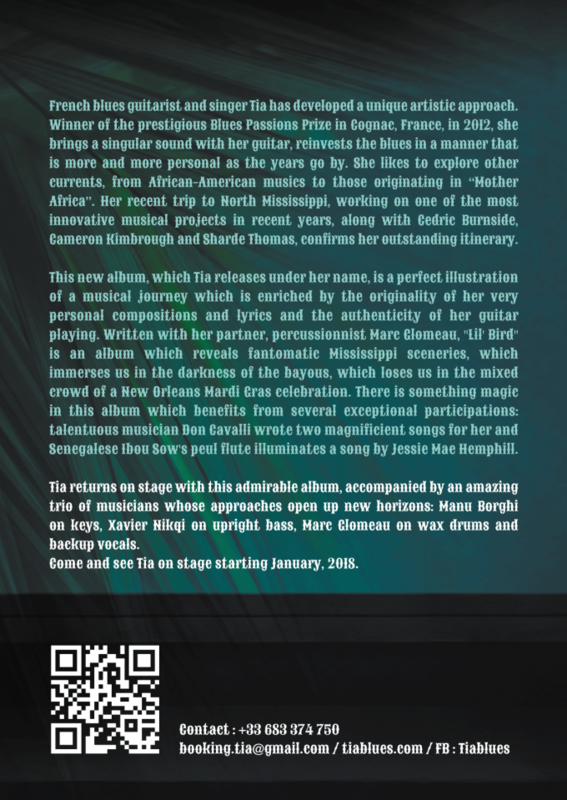 PRESS RELEASE — French blues guitarist and singer Tia has developed a unique artistic approach. 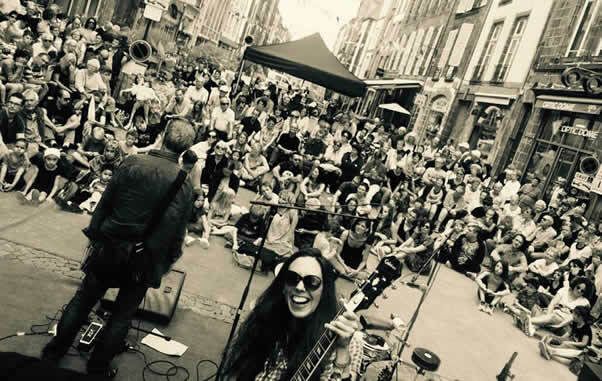 Winner of the prestigious Blues Passions Prize in Cognac, France, in 2012, she brings a singular sound with her guitar, reinvests the blues in a manner that is more and more personal as the years go by. She likes to explore other currents, from African-American musics to those originating in »Mother Africa. 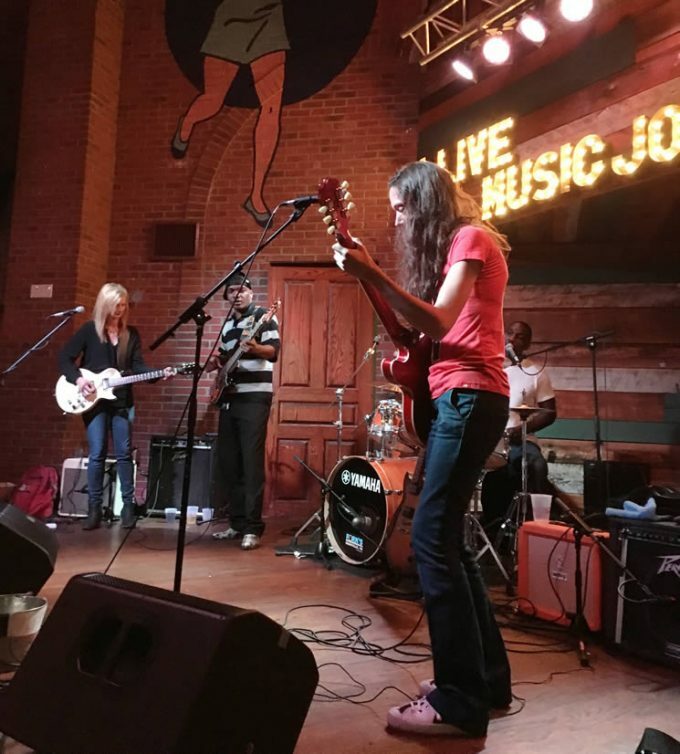 » Her recent trip to North Mississippi, working on one ot the most innovative musical projects in recent years, along with Cedric Burnside, Cameron Kimbrough, and Sharde Thomas, confirms her outstanding itinerary. This new album, which Tia releases under her name, is a perfect illustration of a musical journey which is enriched by the originality of her very personal compositions and lyrics and the authenticity of her guitar playing. 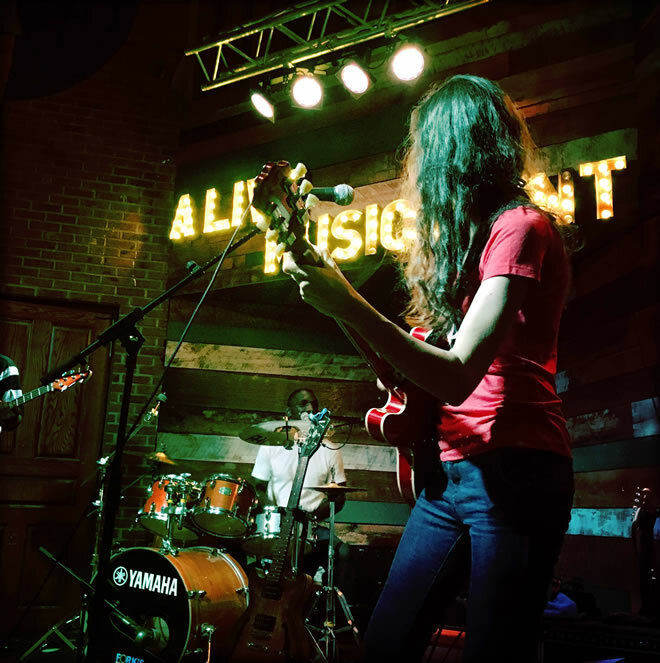 Written with her partner, percussionnist Marc Glomeau, »Lil’ Bird » is an album which reveals fantomatic Mississippi sceneries, which immerses us in the darkness of the bayous, which loses us in the mixed crowd of a New Orleans Mardi Gras celebration. 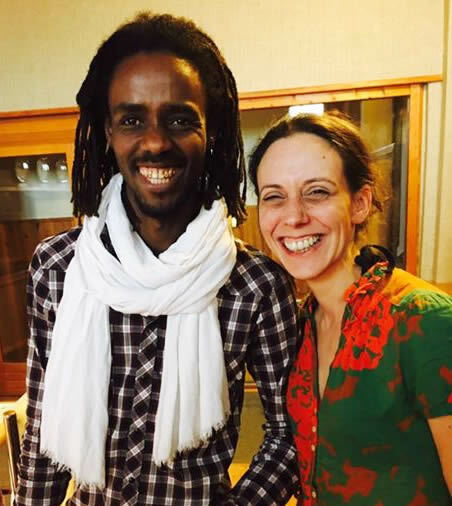 There is something magic in this album which benefits from several exceptional participations: talentuous musician Don Cavalli wrote two magnificient songs for her and Senegalese Ibou Sow’s peul flute illuminates a song by Jessie Mae Hemphill. 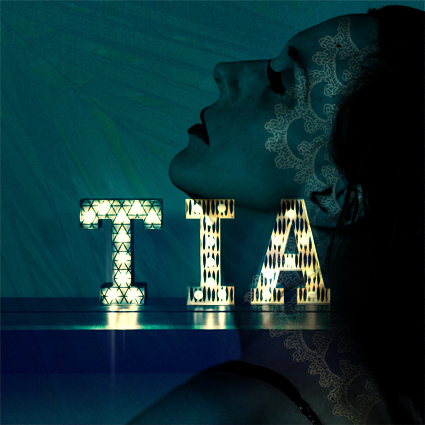 Tia returns on stage with this admirable album, accompanied by an amazing trio of musicians whose approaches open up new horizons: Manu Borghi on keys, Xavier Nikqi on upright bass, Marc Glomeau on wax drums and backup vocals. Come and see Tia on stage starting January, 2018. 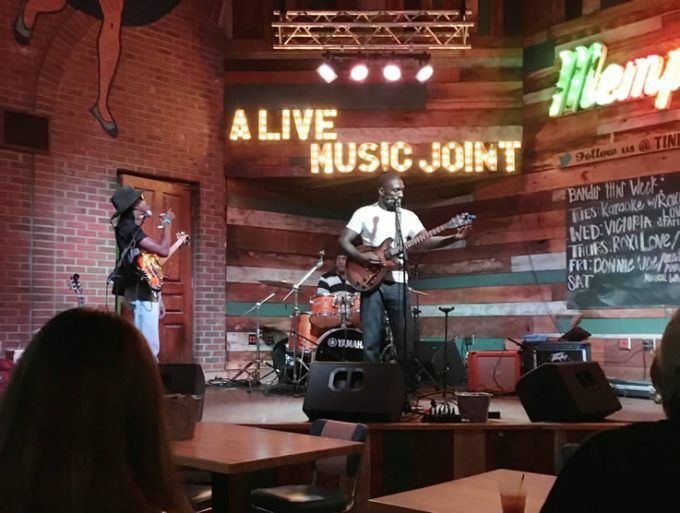 After having spent three weeks in Mississippi with Hypnotic Wheels to record their new album, including several songs with drummer Cedric Burnside, who was nominated for the Grammys in 2016 for his Descendants of Hill Country album, Tia, along with Marc Glomeau and Gilles Chabenat, went to Memphis to attend the prestigious Blues Music Awards ceremony. 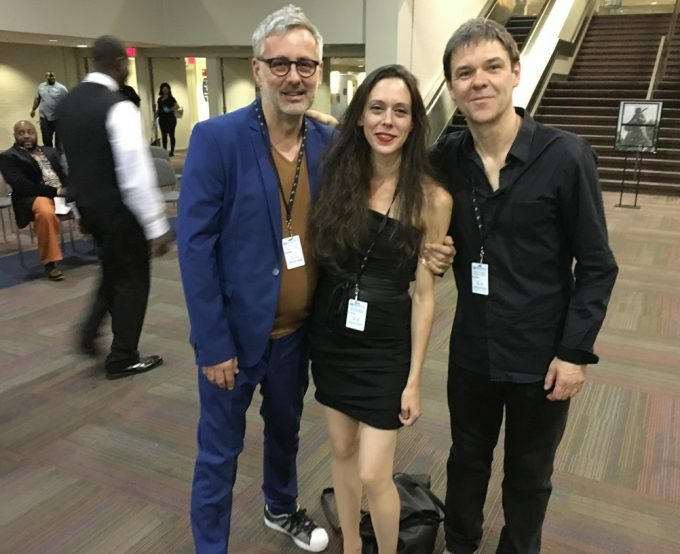 Marc Glomeau, Tia, Gilles Chabenat, at the entrance of the Blues Music Awards, in Memphis. 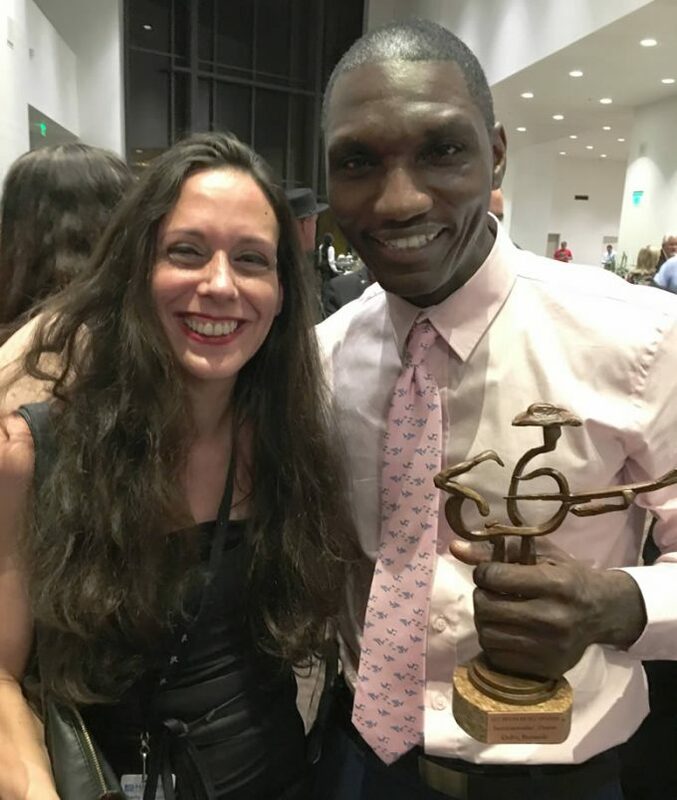 Tia and Cedric Burnside, who won a Blues Music Award for Best drummer, his seventh! 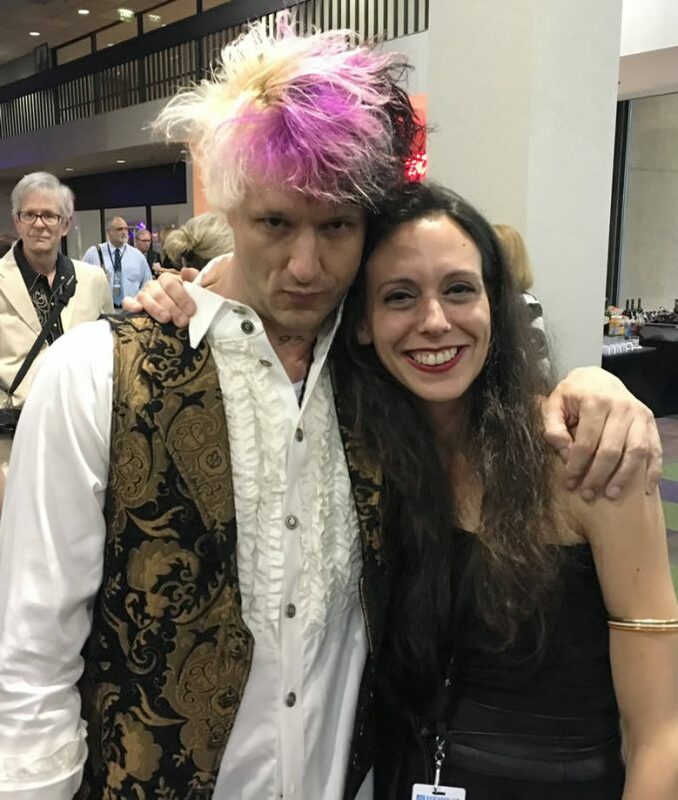 With singer and harmonicist Jason Ricci. 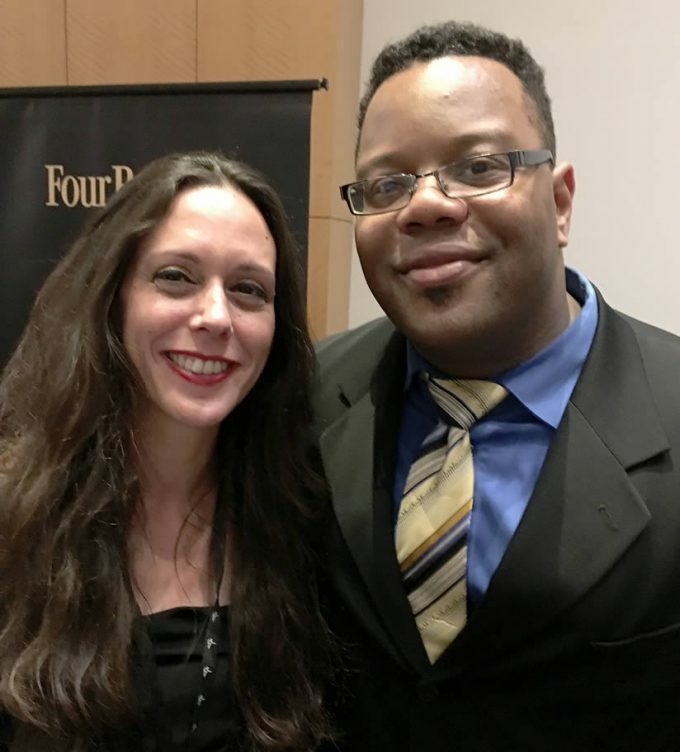 With drummer Rodd Bland. A statue of his father, the singer Bobby « Blue » Bland, was dedicated the following day at South Main Street and Dr. Martin Luther King Jr. Boulevard. 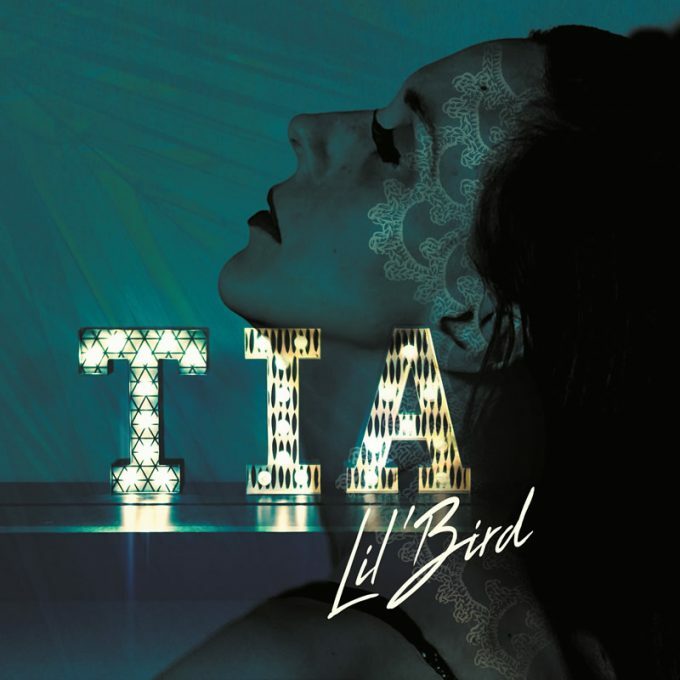 Tia’s new EP was released on March 14, 2017. Listen to the excerpts in the Music section. 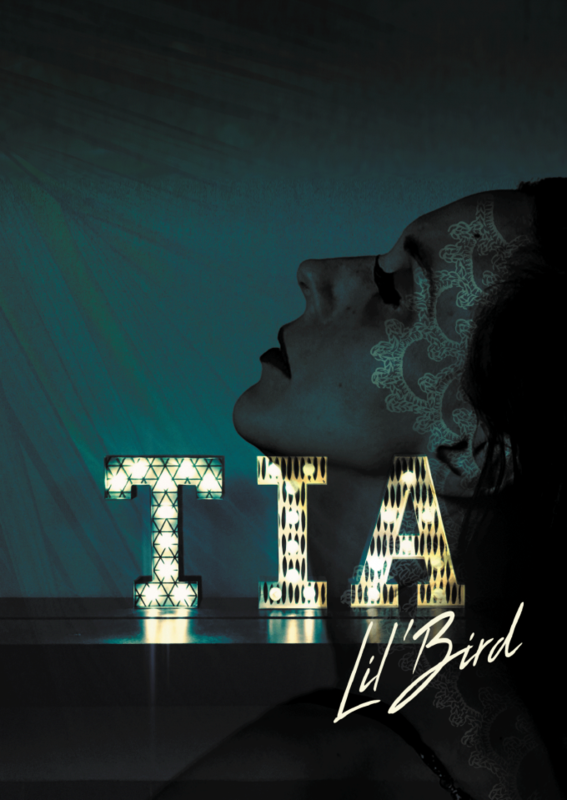 Here is the teaser of Lil’Bird, one of the songs on the EP, which will also be part of the new album, to be released in October. Last day at the recording studio. 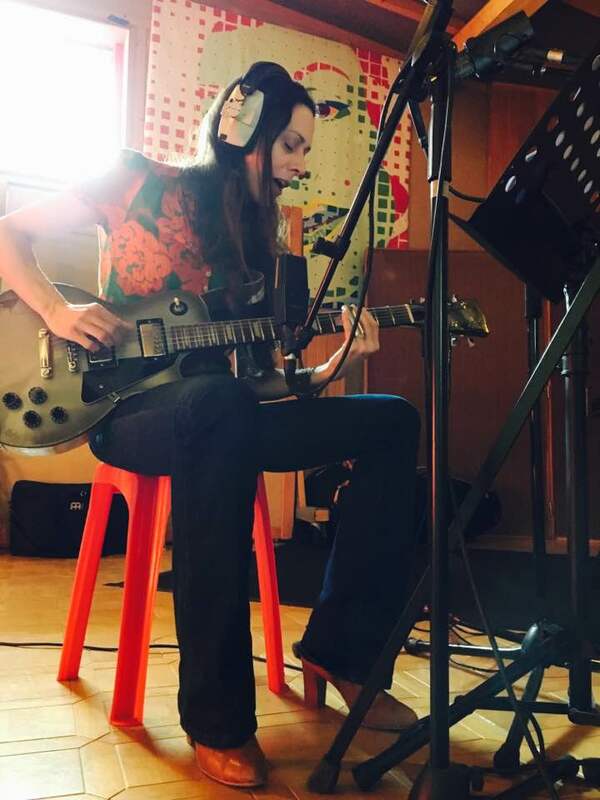 « I just recorded one of the most beautiful songs of my new album, written by… one of my favorite singer/songwriter! Played on a guitar given by one of my favorite artists too! » says Tia. « Hehe, surprise! », she adds, announcing more information soon on her Facebook page.